Spa for Ma is a blog hop event where over 40 bloggers are teamed up to offer prizes to help Mom relax! After you've entered my prize, be sure to 'hop' along to the other blogs to enter their prizes too. Each is worth at least $50! Links to these blogs are located at the end of this post. There are a couple Grand Prizes for this event too!! Grand Prize #1. The first grand prize is $105 cash sponsored by SpringCoin. 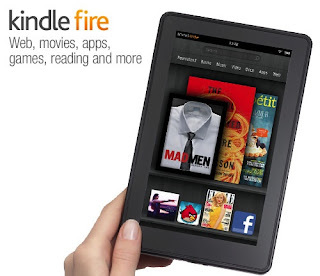 3) a $50 Amazon gift card to buy books and what-not! Total value is up to $300. Click on the first linky or here to enter the Grand Prize! 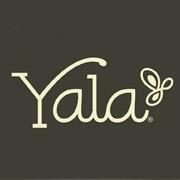 Yala has teamed up with A Year of Jubilee Reviews to offer my readers a $50 GC!! Pacific Pillows is giving 1 reader a triple core standard size pillow! Facebook is in no way associated with this event. A Year of Jubilee Reviews and the others in this blog hop are not responsible for sponsors who do not deliver their prizes. I would love one of the nightshirts! I like the Bamboo Dreams Bradshaw Dress! I would love to have the Bamboo Dreams Maxi Skirt. I love the bamboo night shirt. I like the Bamboo Olivia Dress. I love the Luxury Silk Fleece Blankets. They're gorgeous. i love the organic cotton aspire pants! I love the Camille Tunic! I would like the Organic Cotton Aspire Long Pants. I like the Silk Jewerly Roll. Bamboo Dreams Penelope Night Shirt - Raspberry! I really like the Bamboo Dreams® Sugar Pie Pajama Set. I like the Bamboo Dreams Bradshaw Dress in black - looks very comfortable! I love the Bamboo Dreams® Cami Top! I have bamboo sheets and I love them! I love the Bamboo Dreams Stella Gown! I'd get a Isla Tunic and a silk crinkle scarf to finish it off. I like the Bamboo dreams maxi skirt! I like the Bamboo Dreams Lucy Wrap in navy. I like the bamboo dreams piper dress in black. i LOVE the Bamboo Dreams® Audrey Long Wrap in black! I like the Bamboo Dreams® Kai Top. Chelsea W.
I love the Bamboo Dreams® Laurel Long Sleeve Wrap. Luxury Silk Fleece Blankets are sweeet! I love the new robe! I like the Bamboo Dreams® Knit Baby Blanket. I love Bamboo Dreams Laurel (the wrap)! I like the Bamboo Dreams Circle Top! Their Shades of Fall/Audrey long wrap is gorgeous! i like the mens bamboo dream long sleeve shirts!!! My favorite Yala look is BambooDreams® Luna Gown.